So today, let’s define, in words and pictures, an arbor, a trellis and a pergola. An arbor is mostly used to define an entrance for any outdoor space. Smaller than a pergola, an arbor provides a bit of shade but usually in the context of being a ‘gateway’ or dividing two spaces. Arbors are open, sometimes arched and particularly conducive for climbing shrubs or vines especially if combined with a trellis. A trellis is an open but flat vertical framework used to ‘train’ and support upward growing plants. 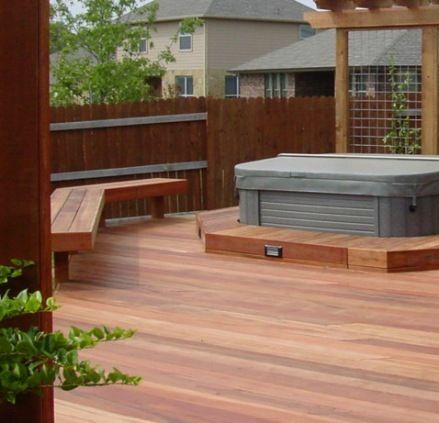 As a deck, patio or garden structure, it’s used both as an accent piece and for shade too. Obviously, any trellis must be weather-resistant and sturdy so wood or synthetic lattice and metal (wrought iron) or wire are the most common building materials. If you’d like to incorporate a trellis in your outdoor space, you can easily purchase one that’s ready-made or your contractor can customize it for you. 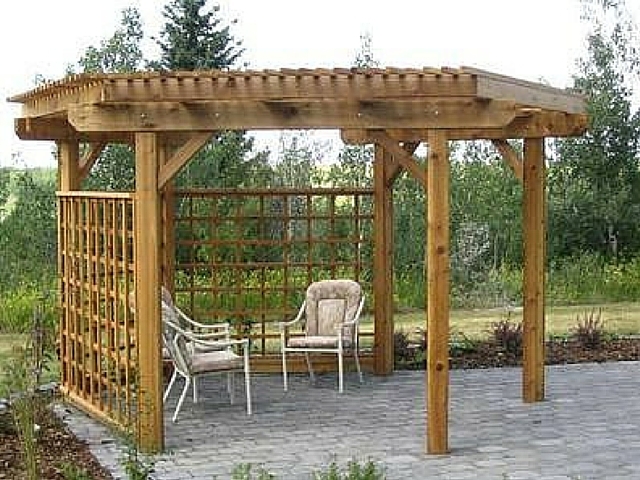 If you’re looking for a pre-assembled trellis (or a kit), check out Home Depot, Wayfair or your local garden boutique. A trellis, however, can be a perfect do-it-yourself project for those folks that like to build stuff… not too difficult and in the end, a trellis will provide a big payback of good looks and function too. For DIY ideas and instructions, online sources include This Old House, Family Handyman, Sunset.com or YouTube! 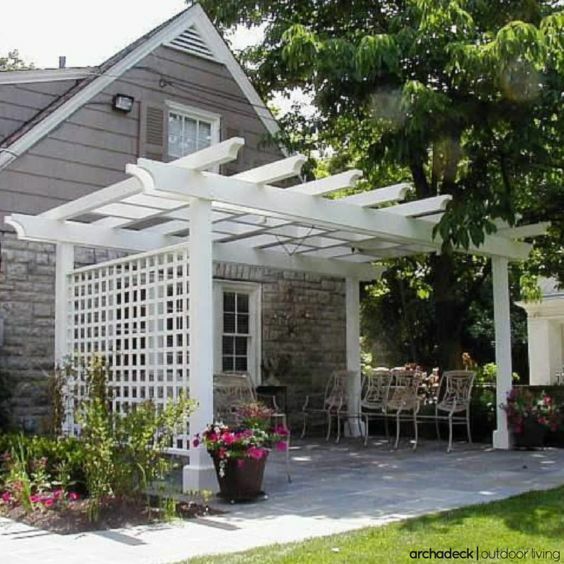 Pergolas are the grand-daddy of backyard shade. With overhead slats they provide an abundance of cover Add an energy-wise panel on top, a cloth canopy, hanging plants or vines, and a pergola does double-duty for sun protection. A perfect complement to any garden or patio, pergolas are frequently incorporated into deck designs too. 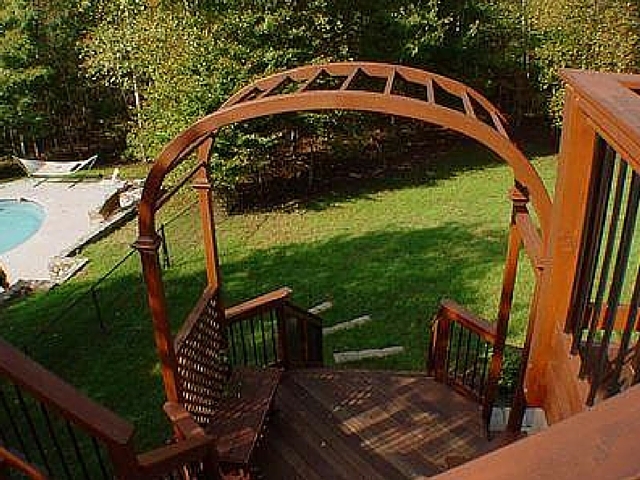 In April we published a post specifically about deck pergolas. 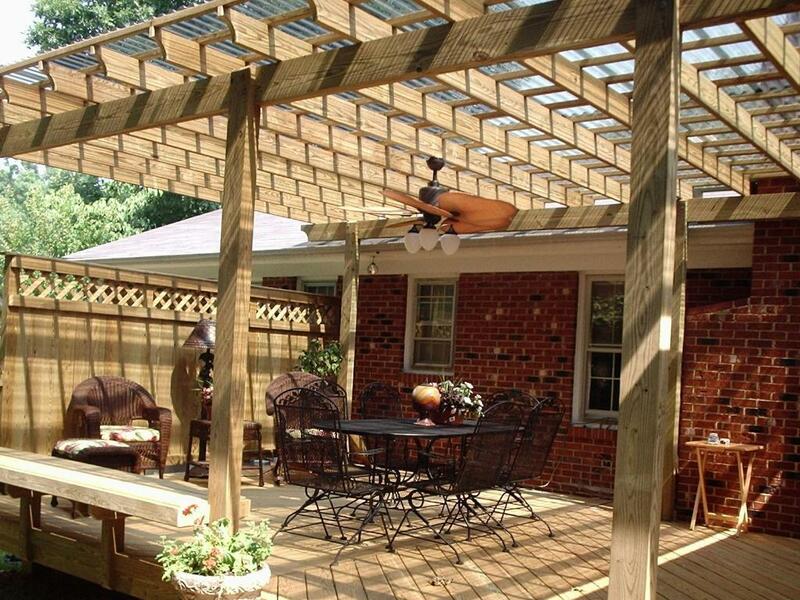 Check it out: “Pergola Deck Designs by Archadeck”. 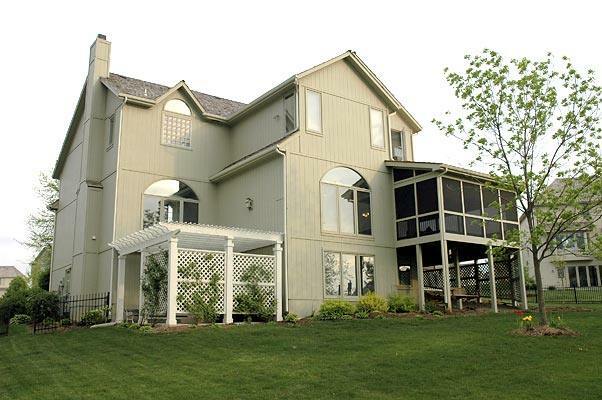 A pergola, arbor and trellis are similar but different too. All three frameworks are used to define an outdoor space, provide some degree of shade and are built to support plants. Each can be custom designed or purchased as a kit and ready-to-assemble. 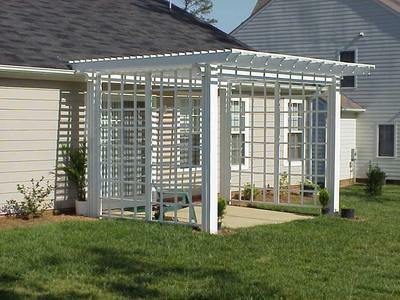 Save money as a possible DIY project, especially with a trellis or maybe an arbor… pergolas have a higher degree of difficulty. 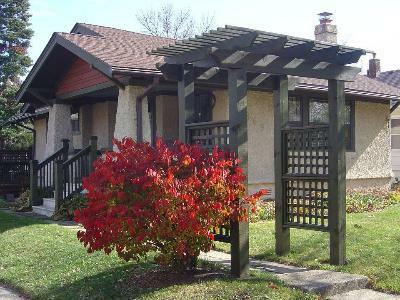 To discover more ideas for arbors, trellis’ and pergolas — as well as decks and porches — just visit our website, west-county.archadeck.com. You’ll see picture galleries and videos, an online inquiry form, and a free download for the Archadeck design guide. If you live in St. Louis MO, or nearby areas, and are ready to speak to a builder, please consider Archadeck. We’re locally owned and operated and based in St. Louis West County. Call 636.227.0800. Don’t live in St. Louis, Missouri? Then head-on-over to archadeck.com to find a location near your hometown.